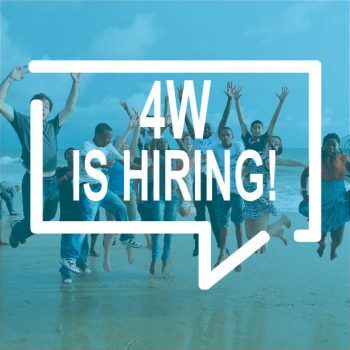 ABOUT THE POSITION: The 4W Initiative seeks administrative and programmatic support for the 4W Women and Wellbeing Initiative at UW-Madison. The position offers early career leadership opportunities, which includes all aspects of administrative support for programs and a lot of growth opportunities related to non-porfitt administration, management, leadership, networking, facilitation and development. Required: At least two years of professional experience required. Requires excellent organizational skills, problem solving ability and ability to work independently. Also requires strong interpersonal communication and writing skills. The successful candidate will demonstrate experience with and appreciation of the value of diversity. Study or experience related to gender equity and the wellbeing of women and girls, including an intersectional understanding of the issues. Strong office and web-based computer skills are essential. Applications are due August 15th with a desired start date of September 5th.